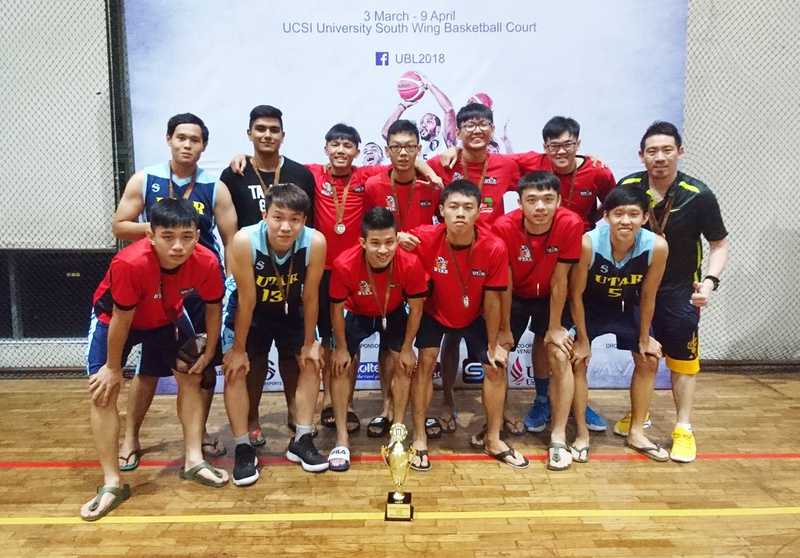 UTAR Kampar Campus Basketball team achieved another outstanding feat in the National Gatorade University Basketball League (UBL) 2018 which was held at UCSI University, Selangor on 3 March 2018. The team emerged as the second runner-up. UBL is a national level basketball championship which includes both public and private higher learning institutions. As an annual affair, this year the competition has attracted a total of 20 teams from different universities. Held for the sixth time since the year 2012, the competition was jointly organised by MVP Marketing Sdn Bhd and UCSI University to promote and encourage lifelong participation in sports and physical activities.